Everywhere Wireless is committed to the elimination of Alzheimer’s disease. As an alternative to Comcast and AT&T, Everywhere Wireless provides the fastest Internet in Chicagoland, with speeds up to 1,000 Mbps or also known as Gigabit. 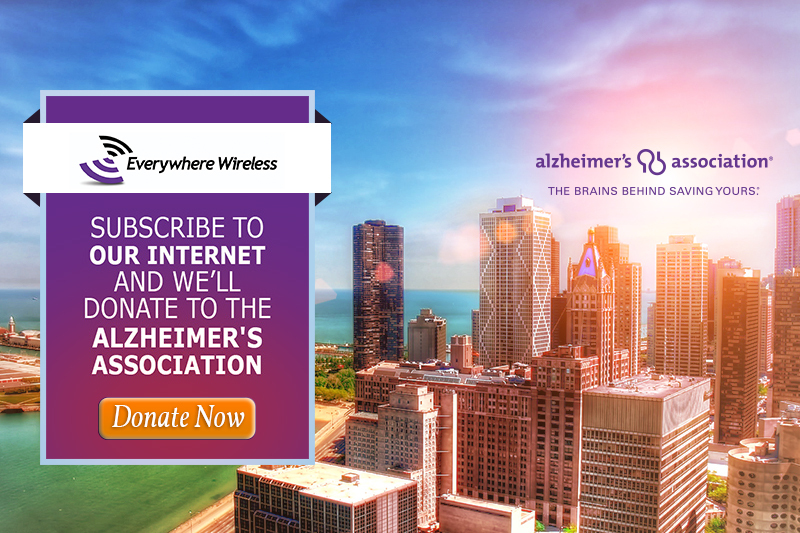 As EW continues to extend its Internet network throughout Chicagoland, the company has agreed to donate $250 to support Alzheimer’s research, care and support for every building that connects to its Internet network; ending on 02/29/2016. Connect your building today, at $0 cost: www.EverywhereWireless.com. 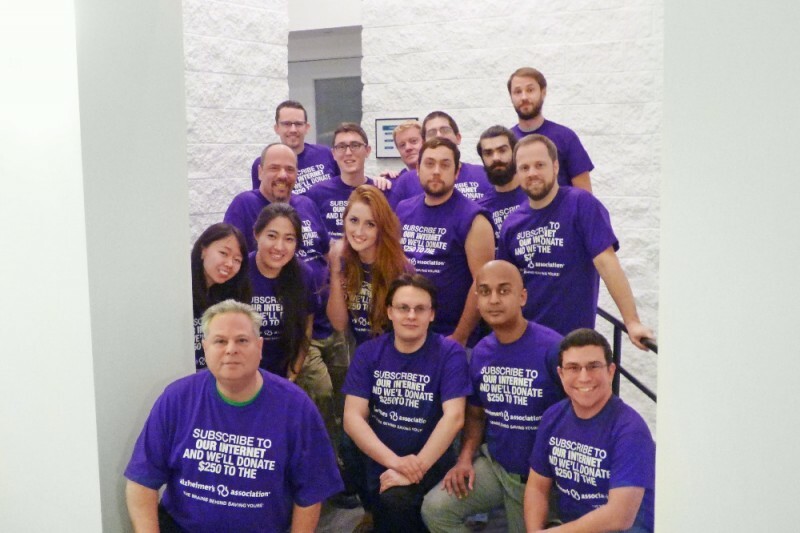 During this same time, feel free to contribute directly to support Alzheimer's research, care and support by clicking on the Donate Now button. If you'd like to join the new trend, visit us at www.EverywhereWireless.com. Everywhere Wireless is Chicago's Luxury Apartment Development's Internet Provider. Period. Good luck in reaching your goal for a great cause! Everywhere Wireless Enters Forest Park, Illinois; reach out at www.EverywhereWireless.com. Everywhere Wireless continues its expansion in the West Loop/Fulton Market neighborhoods.